With the EZ Mini Toning Bike, you can get fit from the comfort of your own couch. Perfect for at home, in the office, or on-the-go use, the EZ Mini Toning Bike helps improve circulation, enhance balance, and boost the strength of your calves, thighs, knees, ankles, biceps, shoulders, and hips. The EZ Mini Toning Bike is a safe and simple way to improve cardiovascular health, and strengthen upper and lower body muscles. The built-in monitor and dial allows you to adjust the difficulty of your workout, and track your workout - making it perfect for men and women of all ages and of all fitness levels. 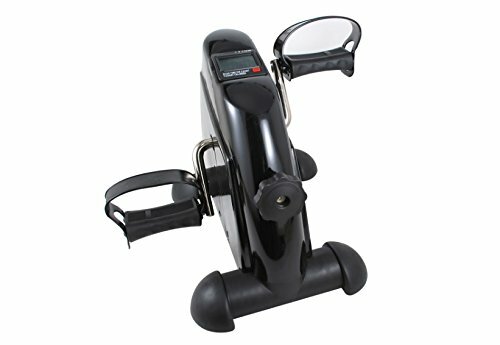 The EZ Mini Toning Bike is compact and easily stored. Now you can enjoy better fitness and cardiovascular health while watching TV or working in your office. If you have any questions about this product by Liteaid Fitness, contact us by completing and submitting the form below. If you are looking for a specif part number, please include it with your message.